Now that the sizzling days of summer are drawing to a close, August and September are perfect months to explore the vast, surreal, one of a kind National Parks – also known as The Mighty Five – that Utah is proud to be home to. Most states in the Nation are fortunate to have simply one National Park, but the ever-unique state of Utah has five of them, and all located within close geographic proximity. The sights, smells and uniqueness of each Park – Arches, Canyonlands, Capitol Reef, Bryce Canyon and Zion – are best taken in at a leisurely pace. But, if your schedule doesn’t allow, plan for at least an entire day in each park, not including driving time. With sheer, rock cliffs, bands, spires and hoodoos; canyons that are inconceivably broad or so narrow that a human has to almost turn sideways to pass thru, the National Parks in Utah are connected by scenic byways that are every bit as impressive as the parks themselves. All of the Mighty Five have visitor centers, are open year round (with the exception of Christmas) and offer orientation programs in the auditoriums. Leashed pets may accompany visitors in campgrounds, at overlooks, and at pullouts along the paved scenic drives, but NEVER on the trails. If you’re adventurous and venture off the beaten path, be prepared in every way (water, food, extra clothing, GPS, etc.) for the harsh desert ecosystem. All parks have campgrounds with sites that can be reserved in advance, March-October by a concessionaire- visit, www.recreation.gov, or call 877-444-6777 for details. Start your journey in Moab by visiting iconic Arches National Park. The largest concentration of natural sandstone arches in the world is in Arches, along with a mind-blowing variety of balanced rocks, sandstone fins and soaring pinnacles and spires. Entrance on US Hwy 191, north of Moab . There are no restaurants or hotels in the park, only camping. Cell service at Arches is spotty and varies among carriers. RVs must keep in mind that the single two-lane road into and out of Arches is very narrow. Be considerate of other drivers. ATVs are not allowed in Arches. From Arches head to Canyonlands. The Colorado River and the Green River flow together in the heart of Canyonlands, creating a rippled landscape with deep red-walled canyons, arches, buttes, spires and innumerable other spectacular rock formations. Canyonlands is so large and so diverse that it is carved naturally into three distinctive districts: Island in the Sky, The Maze and The Needles. While they adjoin each other, each area must be reached from different entry points. The travel time between each of the three districts is several hours. A few essential details: Once in the park, each district requires some boating, hiking or four-wheel driving to see the area’s attractions. Food, gas, lodging and similar services are not available. Leave Moab with a full tank of gas, food, lots of water, a spare tire and sun protection. There are no restaurants or hotel accommodations in the park. Canyon country is not a friend to cell phones. Do not rely on GPS units to guide you in the park. Once you enter Canyonlands, cellular service diminishes greatly, especially in the canyons. From Canyonlands head southwest on Hwy 24 to Capitol Reef a long, narrow park that is roughly only six miles wide. Brimming with monoliths (domes) and canyons, it is home to the Waterpocket Fold, a 100 mile long up-thrust spine that dominates the park. Reef refers to the barrier that the rock poses to travel, similar to an ocean reef. Because of the topography and only two paved roads, the best way to see this park is either hiking/backpacking or with a four wheel drive vehicle. There are no restaurants or hotels in the park. The small town of Hanksville on the east side of the park has a grocery store and a motel, and the larger town of Torrey on the west has many shops, restaurants and lodging. Bryce, named for Ebenezer Bryce a Scottish homesteader who upon seeing the vast landscape, said “hell of a place to lose a cow” is a collection of immense amphitheaters ranging in color from white to red to bright orange. Walk among the hoodoos, the immense rock formations that resemble giant sandcastles, to truly get a feel of what this park is all about. Situated at elevations between 8,000-9,000 ft. you can horseback ride and hike here in the summer, and snow shoe or cross country ski in the winter. If you’re lucky, stay at the National Historic Record of Places, Bryce Canyon Lodge or dine in their restaurant. www.nps.gov. Alternatively, stay in the small town of Tropic a few miles from Bryce or at Ruby’s on the perimeter of the park. Zion NP, (the word Zion means place of peace)located in the southwestern corner of Utah close to the charming town of Springdale, rounds out the Mighty Five tour. Zion has elevation changes of over 5000 ft. which allows it to have an exceptionally diverse ecosystem of plant and animal species. Zion has jaw-dropping scenery with immense, rock faces that are popular with advanced rock climbers. It is home to the iconic Narrows, the narrowest section of the Zion Gorge. Hiking it requires that you get your feet wet as it follows its way along the Virgin River. 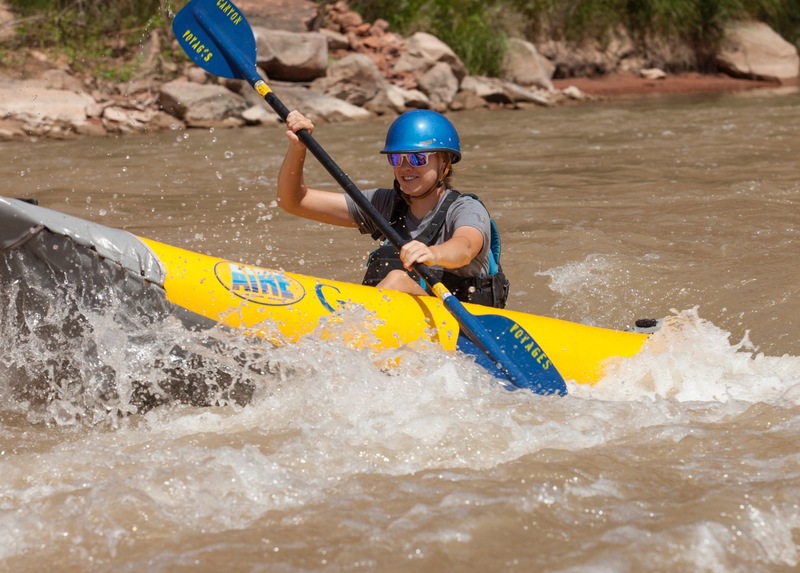 You can splash around for an hour, or if you’re more adventurous, obtain a back country permit and take on some longer canyonneering forays. There is one hotel in the park, Zion Lodge, but Springdale has numerous lodging options and an eclectic array of restaurants. Utah is indeed a land of contrasts and taking in the variety and diversity of these five gems will hit that home. Nowhere on Earth will you see the combination of colors, canyons and weird rock formations. Take the time for the Mighty Five- you’ll be so glad you did.